Jedi Writing - Inspiring Writing through Star Wars! There is a lot of excitement and anticipation about the upcoming Star Wars film. I am sure plenty of your pupils will be desperate to see the latest installment. Knowing I have children hooked on Star Wars, I have used it as a stimulus in class. I have previously blogged about discussing authorial intent with the teaser trailer. You can read that blog post here. I have also blogged about using the BB-8 droid to inspire writing, read that blog post here. Today I discovered another little gem that could inspire some fantastic writing linked to Star Wars. Recently, Facebook released different 360 degree videos. Users can explore the videos by dragging their cursors within videos on the desktop or by physically tilting their phones while watching on mobile. Each video is a few minutes long and gives users a completely spherical—that is, 360-degree—way to explore sand dunes, the ocean, or, say, a galaxy far, far away. Sometimes the most simple apps can be the most effective! On a recent training day as part of my Year Group Cluster Training Package, I was shown the app 'Marvel,' by teachers at Elworth Primary. This app is a prototyping app for mobile and web. The app involves creating a series of pages, these can be taken using the camera, loaded from the camera roll or dropbox. The app allows you to then create link boxes to other pages. When completed, the app turns into a mobile app that allows you to tap the screen and be taken to the desired page. 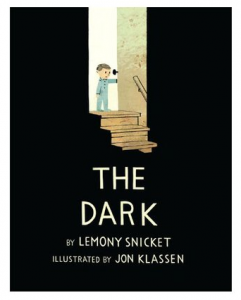 The book is about a boy, Laszio, and his fear of the dark. We started discussing what fears the children have and why it makes them afraid. One of my favourite apps to inspire writing through Augmented Reality is String! For a while, it had been taken away from the app store however, I am very pleased to see it is back available for schools to use! With the Year 3 class I have been working with over the last couple of weeks we have been creating some information eBooks all about 2D shapes. It has been a great way to encourage children to share what they know about different shapes. It has also given them a purpose to learn the properties of 2D shapes they didn't previously know. We first started by using the app Shape Lab for the children to create different shapes. I have previously blogged about this apphere. "So many ideas I want to get started straight away!" "So much to take back to class, thanks so much." "Fantastic, thank you for all the great fun ideas." 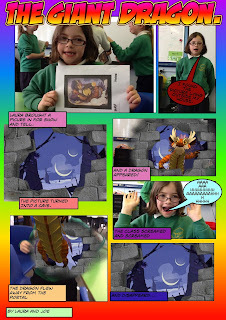 "Fantastic inspirational glimpse into how to engage pupils with digital literacy." "You made something scary feel very doable." I have some very exciting news, make sure you read to the end! I know plenty of EYFS and KS1 classrooms have a Barnaby Bear. A teddy bear that spends every weekend with a child from the class. Usually, a book goes with the bear and parents are encouraged to document what happens over the weekend and this is then shared back in class. Last weekend, my son Harry came home with his class teddy! We had a great weekend which we documented in the book by printing some photos, but as you would probably guess I couldn't just leave it at text and images. I wanted to use technology to enhance what can be done with the book. Firstly, I wanted to document Harry's recount of the weekend. As he isn't able to write yet, I used the app Audioboom to record some audio of him talking through his weekend. This was uploaded online and turned into a QR code which was printed and stuck in the book. For me, this is a simple but effective way in which younger children can contribute more to the book. It has so many other uses in the classroom. I watched this and thought the same sort of message could be applied to teaching (take away the sitting an exam and CV.) It got me thinking, how often are you told you're doing great? "There is nothing anecdotal about this. A recent YouGov poll commissioned by the NUT teaching union suggests 53 per cent of teachers are thinking of quitting in the next couple of years. News reports earlier this year revealed that four out of 10 teachers quit within a year of qualifying. And 11,000 young teachers leave the profession before they have even completed their development as educators. The exodus has almost tripled in six years and there is much talk of a teacher recruitment crisis. Snapchat is one of the most popular social media messaging apps. The app has recently had some impressive updates including adding a animated filter over your face and the recent addition of rewind, slow motion and fast forward. These can create some very simple but effective special effects to trick an audience into believing children may have super powers! 3. Sound effects: Choose from animals noises, farts, explosions, laughter, and more. Tonight is Bonfire night, so in school we have been looking at using the iPad to create some Bonfire artwork! I have previously used this app with Year 1 to create some lovely Christmas tree designs, you can read more about them here. Now this idea is nothing new, think of it more as a new take on a tried and tested activity. When I was in Year 4 at school, we had a teacher who every day would play the 'Beat the Calculator' game. He would ask us a times table question and we had to answer it before he could type it into a calculator. I was hooked! It was this one game that made me endlessly practice and perfect my knowledge of times tables. It is still a challenge today to get children to instantly recall different number facts. 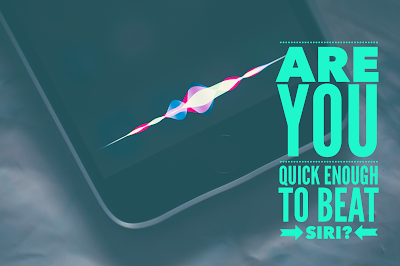 Siri is a "computer program that works as an intelligent personal assistant and knowledge navigator. The feature uses a natural language user interface to answer questions, make recommendations, and perform actions by delegating requests to a set of Web services." I couldn't be happier to see that Mat Sullivan's (InspiredMind5) first novel has been released! I have worked along Mat for a few years as part of the #Go2 team. I was leading some training at Mat's school when he talked to me about his idea for his first book. I was straight away hooked, the idea of a child-friendly zombie book sounded like a winner! When I got an early draft of the book, I immediately read some to a couple of classes and they loved it! That's when I knew it was going to be popular with children! The book is fantastic and one children (especially boys) will love! The artwork by the very talented Marek Jagucki matches the fantastic storytelling and creates a wonderful book that I am sure children will treasure!